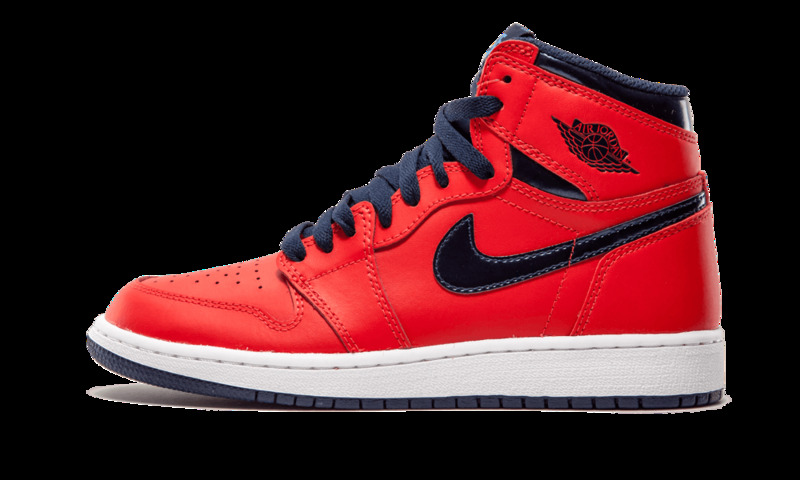 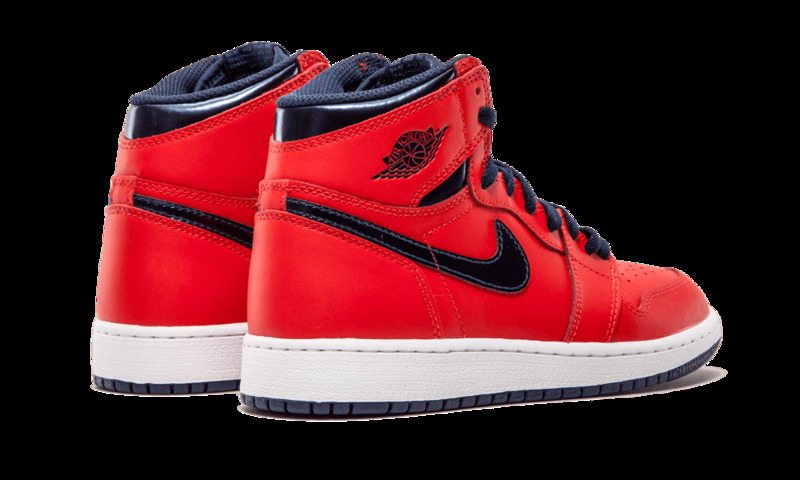 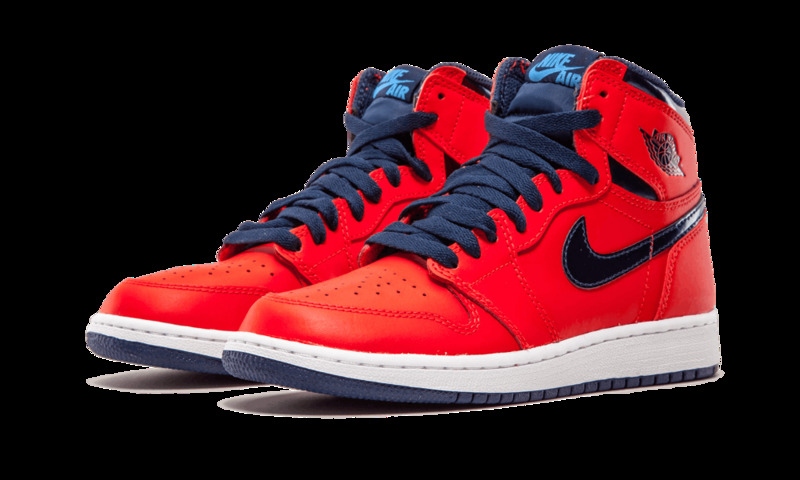 Inspired by the warm-up suit a young Michael Jordan wore during his appearance on the Late Show with David Letterman in 1985 where they discussed his first signature shoe, this Air Jordan 1 features a bright red upper with navy accents. 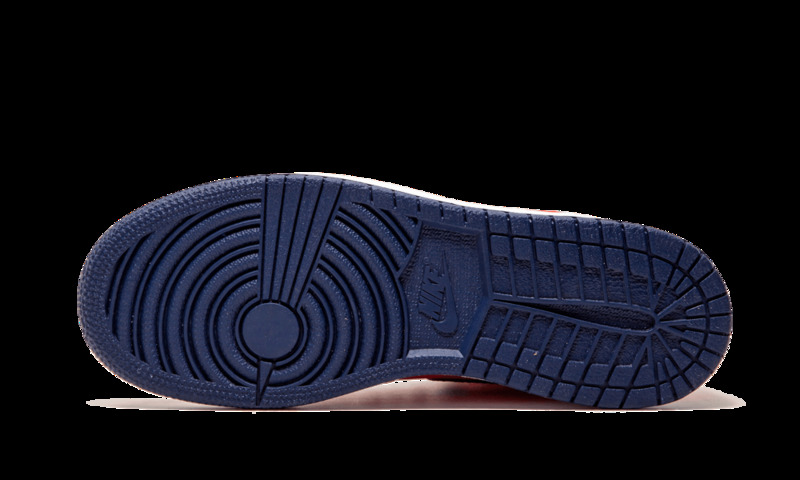 Special “On Air” graphics are found on the insole. This listing is for Grade School sizing.